The GilGraves family vineyard is a pint-sized affair in Axedale, located somewhere between Heathcote and Bendigo. They’ve been releasing small batch wines eked out off their own plot, and here bolstered with fruit from Chalmers in Heathcote. The wines are produced by the crew at Boomtown. It’s all great fun, kinda cool, and the resulting wine is great! And value! They’re down that natural wine pathway somewhere in winemaking/growing, as a reference. Not much not to like here. We’re honoured to have received a Gold Medal from Wine Showcase Magazine for our 2017 GilGraves Rosé, receiving 93 points overall. This wine is a pale golden peach colour with abundant aromatics, including apricot and rose petal. It features apricot, dried apple, strawberry and slight rosemary spice. This low intervention wine has minimal sulphur and is a refreshingly savoury dry wine. Our vineyard is located near Axedale, half way between Bendigo and Heathcote in central Victoria. In 2011 we started developing the vineyard, planting four varieties of vines, shiraz, malbec, sangiovese and viognier. We now have 2550 vines. 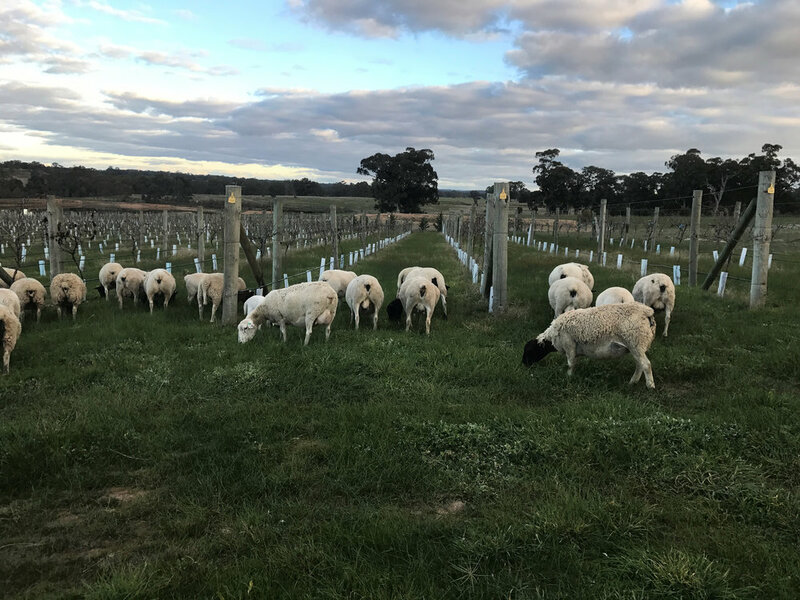 We consider nature herself to be the author of wine, hence we employed minimal intervention principles from the beginning.with the dorper sheep being responsible for weed control. Just as in food we believe in the principle of nothing added nothing lost. We are uniting the wine growing and wine making low intervention principles to produce authentic soulful wines. We picked about a ton of our own GilGraves Estate grapes, predominately shiraz and a small amount of viognier and malbec in 2017 This was released in June 2018 and is available. The GilGraves Rose 2018 will be available in Augsut 2018. The 2017 vintage sold out in April of this year. The Cabernet Sauvignon is grown on sedimentary soils south of the Heathcote G.I. The fruit was handpicked, whole bunch pressed and settled in stainless steel and racked with minimal sulphur to the bottle. The wine is a pale golden/apricot colour with abundant aromatics , including bay leaf, gumnut blossom, apricot and rose petal- distinctively Victorian. This unique wine features apricot, dried apple, honey and rosemary spice punctuated by lemon and mandarin acid. This low intervention wine is a refreshingly savoury dry Rose. We are now celebrating the very first release from our vineyard of the GilGraves 2017 estate grown Shiraz/Malbec made by Tim and Pat at Boomtown in Castlemaine. This is quite an unusal wine, delicious and intriguing. Farmed organically to very low yield, the fruit was picked mid March 2017 with exceptional phenolic ripeness, lower sugars and excellent acidity. Fermented without addition, it was 100% destemmed and co-fermented in an open top stainless steel fermenter. The wine was gently plunged with an occasional pump over for 20 days before being pressed and settled in stainless steel. It was the racked to a single old French oak hogshead barrel for elevage. It was racked and bottled in early February 2018 with a small addition of sulphur, unfixed and unfiltered. 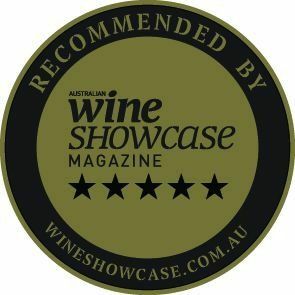 Tasting notes for the GilGraves 2017 Estate Shiraz/Malbec - it has a vibrant cherry red with steaks of purple leading to a touch of blood in the core of the glass. There is powerful perfume, quince, sweet cinnamon, dried roses and cherry wood. A fascinating wine to taste, with very ripe fruits yet a light refreshing palate weight. Fine cherries, poached pear, nutty spice and vanilla, not sweet and a slightly yeasty note. Quite a long wine with a lovely push wide just before a narrowing at the back, with a fineness to the tannins perhaps thanks to co-fermentastion. We have also just released the GilGraves 2017 Sangiovese, again made by Boomtown. The grapes are from the Chalmers family on the Cambrian soils in Heathcote. The fruit was picked in mid March 2107 at full phenolic ripeness with healthy levels of both sugars and acids. The wine was fermented as a single ferment completely destined into an open top stainless steel fermenter. It was fermented without addition and managed with regular pump overs until the wine was dry. It was pressed to stainless steel to settle after 12 days of skin contact and then racked to used French barriques for elevage. After 10 months the wine was racked and a small amount of sulphur was added prior to bottling, unfixed and unfiltered in early February 2018. Tasting notes for the GilGraves 2017 Sangiovese - it has a medium dark, almost plum red hue with a slight brick red rim. Layers of savoury spice aromas, mustard seed, cardamon, all spice and subtle star anise overlay a perfume of macerated red fruits, fleshy cherry, plum, blueberry and rose petal. The palate sees a similar play of spice and brambly red fruit, with hints of leather. The wine has a proud and balanced structure and fine tannins support the wine through the front palate into the back, with a slight rise of acidity pulling the wings of the wine up to the centre of the middle of the mouth and into an elegant shape.